I need and want a new bag! Right now I’ve got a huge crush on this one, the ‘Trapeze’ multi-coloured bag from Céline. Such a beauty. Love that the leather is mixed-up with cobalt-blue suede. 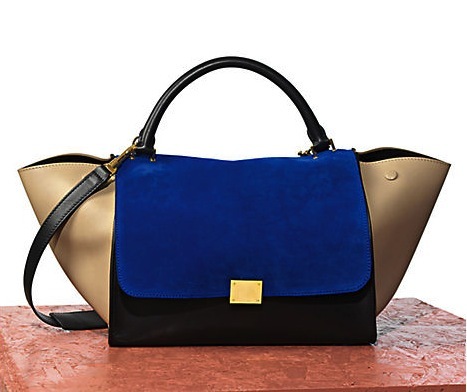 This entry was posted in Everything and tagged bag, Celine, cobalt-blue, leather, suede, Trapeze by Charlotta. Bookmark the permalink.